On I-64 or at Hoosier National Forest, you’ll live the adventure in a pre-owned Jeep SUV from Oxmoor Chrysler Dodge Jeep Ram. Visit our used Jeep dealership in Louisville, Kentucky, to check out the Jeep Compass, a comfortable commuter with serious off-road ability. Browse used inventory to view the Jeep Renegade, a compact SUV loaded with Jeep attitude. Jeep Cherokee is a nimble crossover that’s smooth on the rough road, while a Jeep Grand Cherokee brings everything to the table with interior luxury and impressive power. Or go full throttle with a Jeep Wrangler, the go-anywhere SUV. 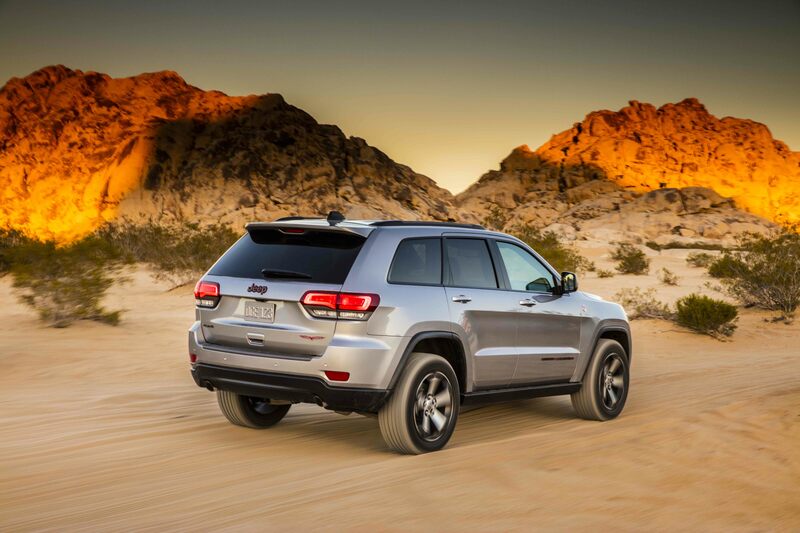 Make sure to schedule a test drive to experience the power of a used Jeep SUV for yourself. Find a used Jeep model at your local Louisville, KY Jeep dealership. Oxmoor Chrysler Dodge Jeep Ram is a full-service dealership dedicated to keeping customers happy beyond the sale with expert auto service and quality auto parts. If an accident puts a wrinkle in your Jeep Patriot, our collision center in Louisville, KY, can iron it right out. From oil changes and transmission repair, to tire rotations and auto body work, our Jeep dealership can take care of it. Or, if you’re accident costs more than your car is worth, make sure to explore our certified pre-owned Jeep specials, and schedule a test drive today. Make a move toward Jeep ownership with online tools to value your trade and calculate your payments. Oxmoor Chrysler Dodge Jeep Ram will partner with you to make it happen with a military auto loan package, special financing, and an onsite car buying program. Let’s get started on Jeep financing in Louisville, KY today!